As a high strength attachment point for both lifting and lashing, Btech-Alloy V Weld-on Lugs offer a permanent solution. Applications for this leading edge product are in all sectors of mining, rail and road transportation, construction, marine and offshore exploration. 1.5, 2.5, 4, 6.7, 10 & 16. The Working Load Limit remains constant at any angle of lift. 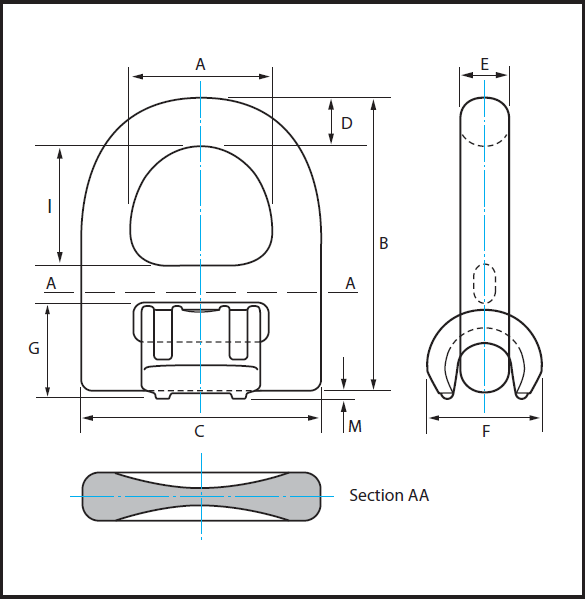 Welding the lug assembly into the desired position is easily achieved with weld height lugs under the weld block. The lug and weld block are made using Grade 100 Alloy Steel, then quenched and tempered. All B-Tech Alloy V Weld-on Lugs are magnetically crack inspected (MPI) after manufacture. 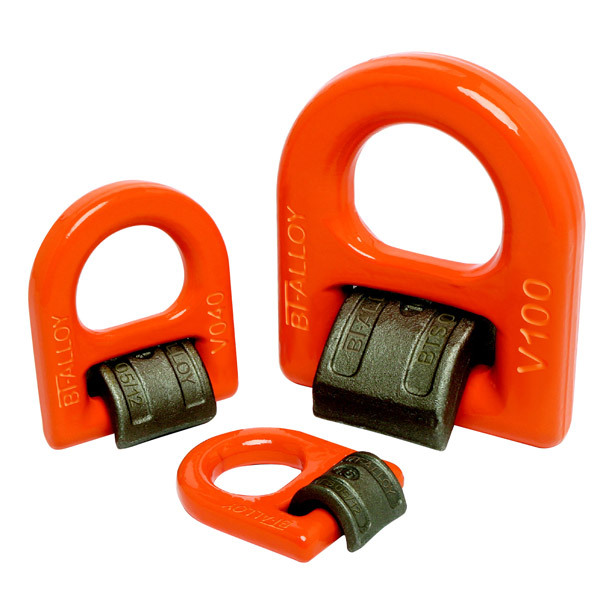 Lifting lug is finished in powder coated baked enamel for greater corrosion resistance. 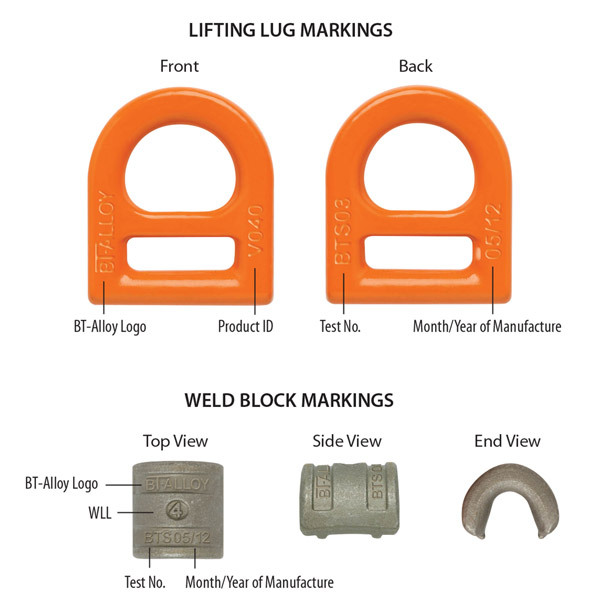 The lifting lug and weld block are marked with BT-ALLOY V, WLL (Working Load Limit) and the month and year of manufacture along with an individual test number for easy tracing and identification. Designed to lay flat when not in use. Detailed welding instructions are supplied with each set.